That's a Renault distributor by Ducellier. 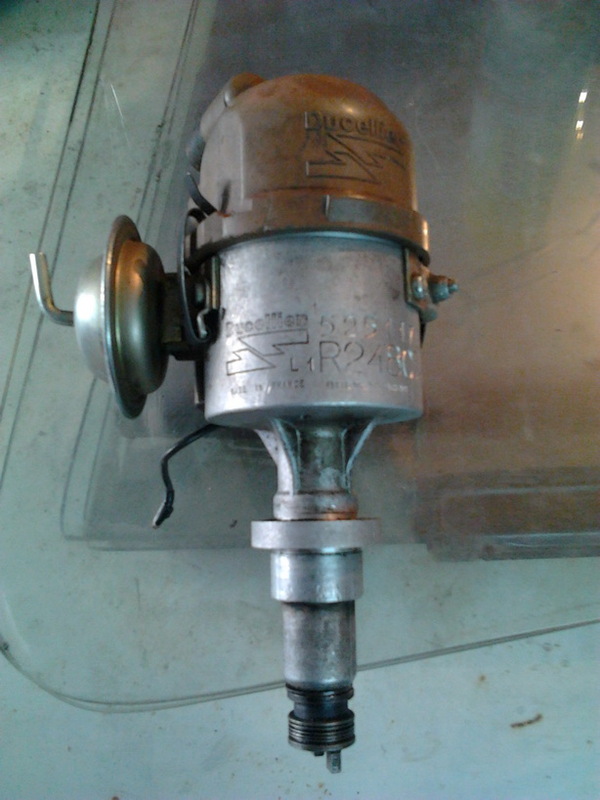 There are three numbers for the code of centrifugal advance and two for the canister advance. 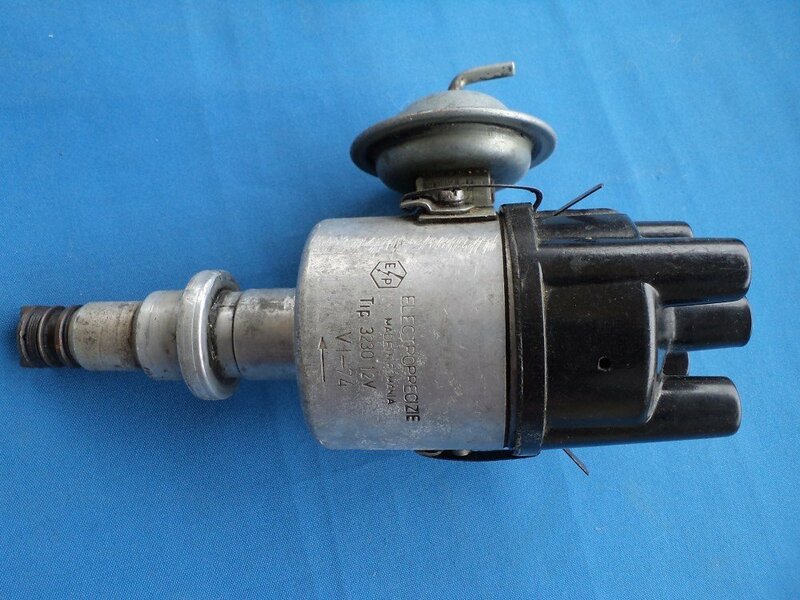 I found other ignition advance curves,probably are from R 4 and F4. Many curves aren't new,it's a long liust to check,C 52 is new, I'mnot sure about centrifugal curves but I think thre is something new. 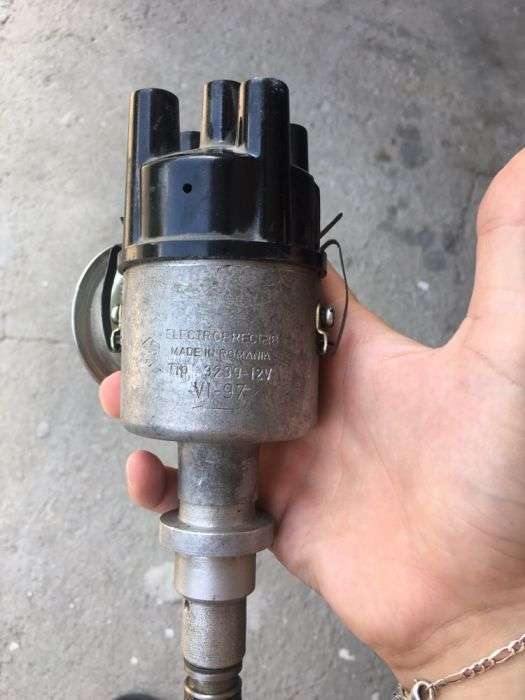 That's a distributor from a Dacia. I can't see the last number,maybe the code is 3239? 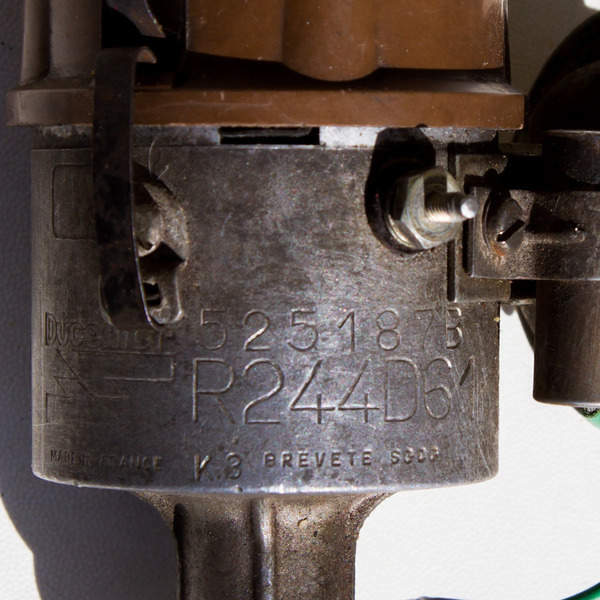 They are from Cleon Fonte engines,they are Renault derived. The codes on distributors are different from Ducellier ones but ignition curves can be equal. There's the code C34 for the canister curve. 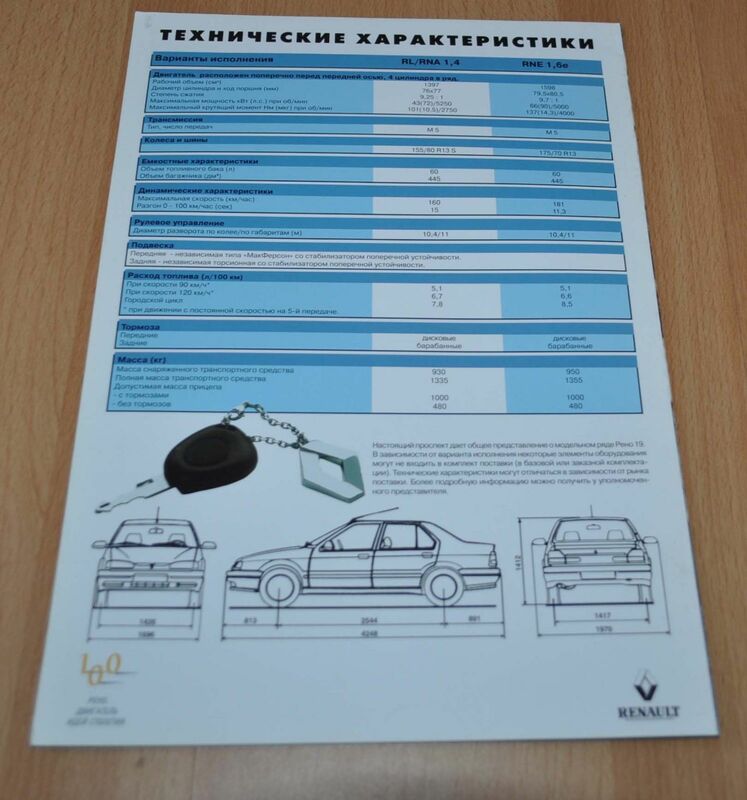 Manuals aren't very accurated, I saw the same degree values of distributors on injected manuals so I ignored that manual. 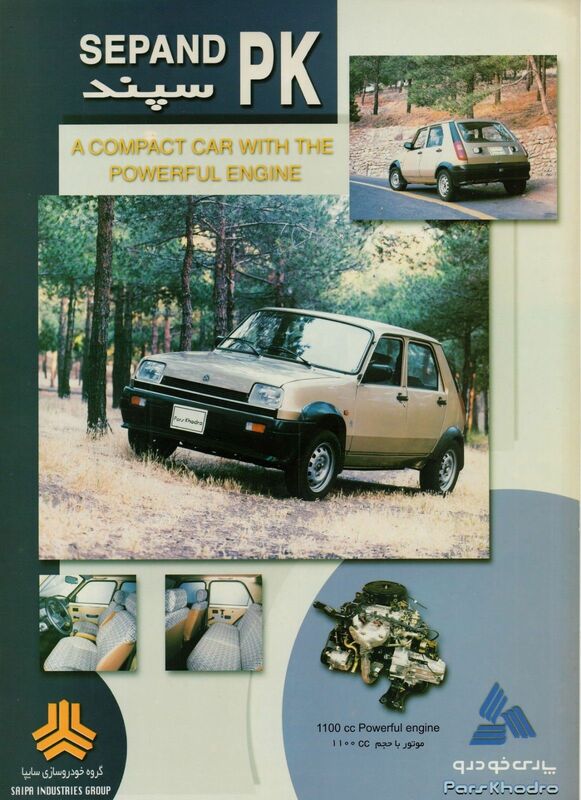 It's strange to see a 1289cc engined Nova. At the moment there are three different distributors only. The problem is that on manuals datas about curves are little different. 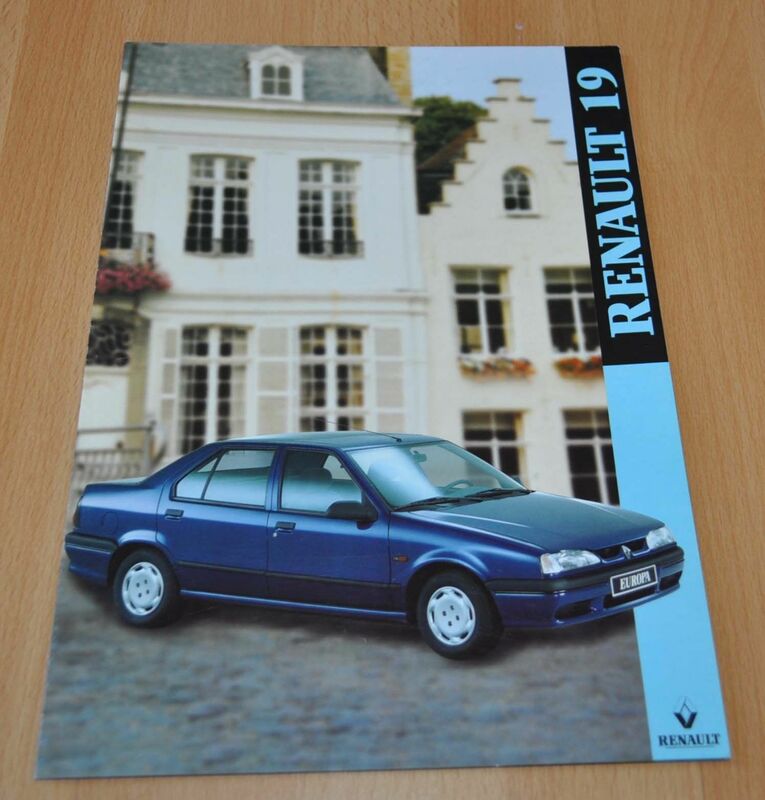 The next is from a 1300 manual. 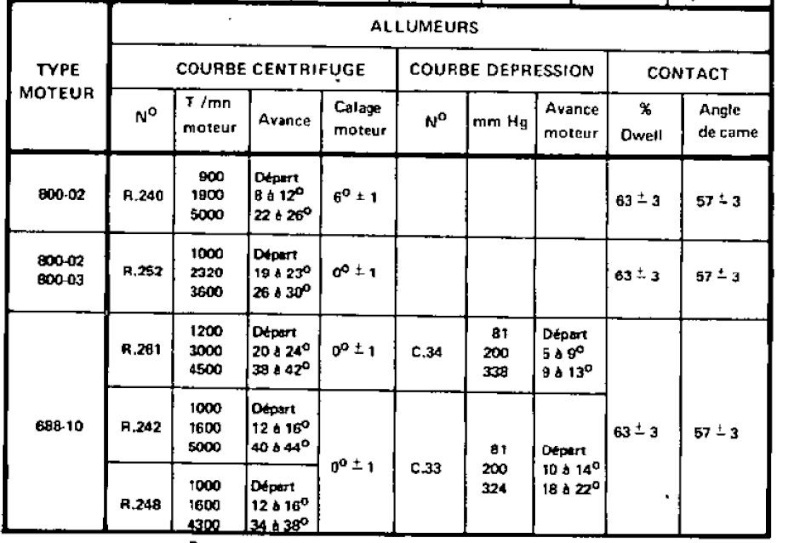 If there are three distributors datas on a manual they add two graphic the same for canisters. Electroprecizia doen't make distribuotrs anymore, you can buy a new one of course, I don't know who makes them. 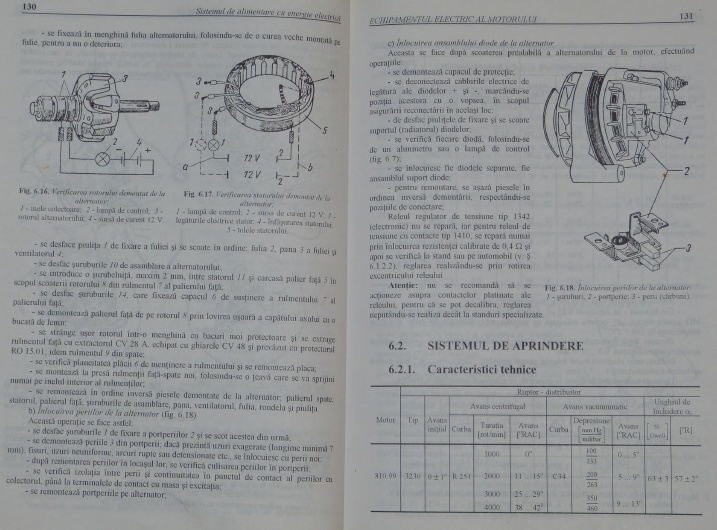 On the Asam catalogue there is the coil only for old ignitions,nothing else. You can find a new distributor in a shop on line but it's always the same for all engines. 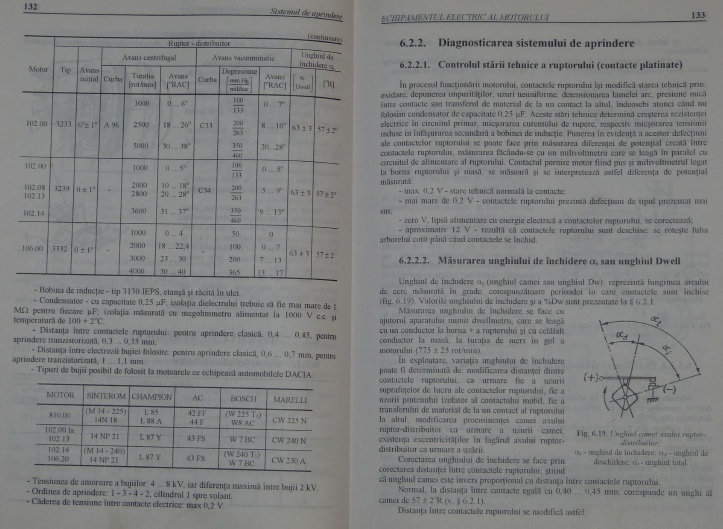 Once upon a time i tried to ask Electroprecizia for more details but tehy din't answer,it was manu years ago. The distrbutors were different ,I never understood all details. It isn't a problem, by a programmable ignition you can get a better ignition map, it takes some tests so I don't care too much if infos on manuals aren't always the same,if they are approximmated. 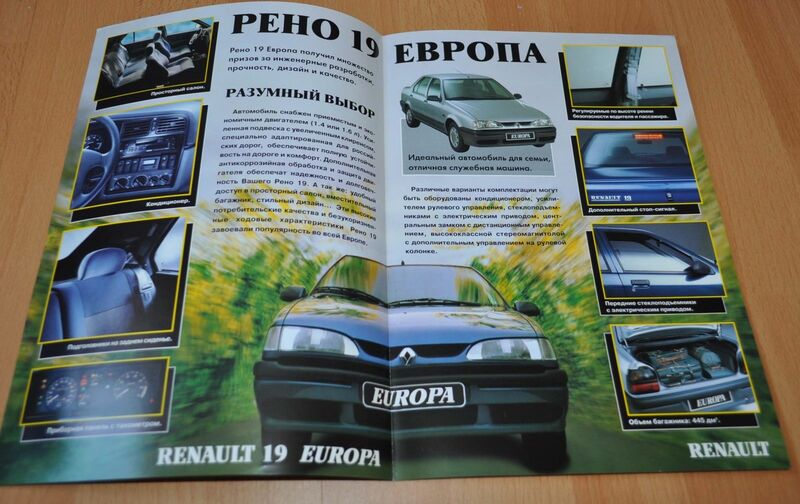 Maybe my qustions about 19 Europa could seem funny or stupid. 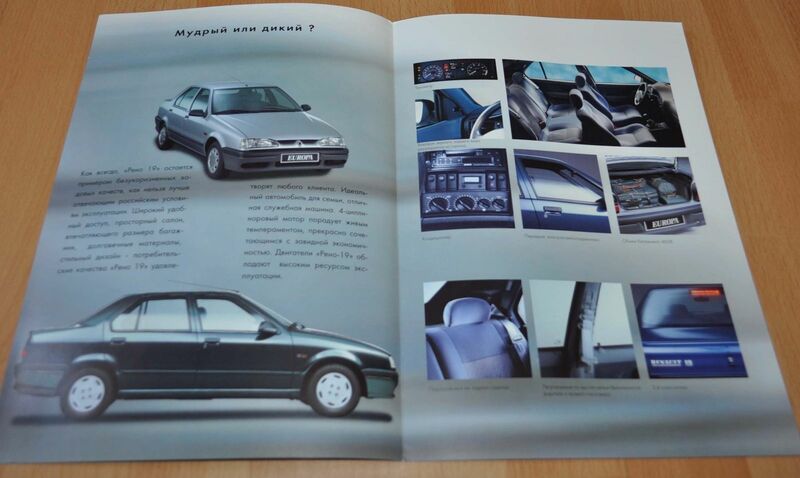 I didn't know about that version, now I found its brochure. 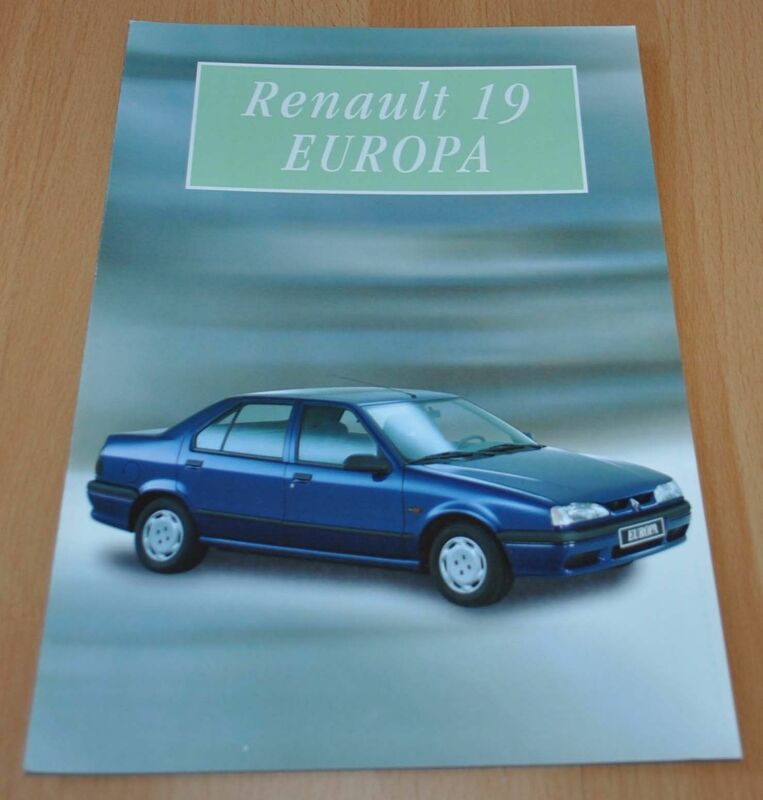 Are there differences between the 19 Europa sold in Turkey and abroad? Can somebody add any information useful for engine swap,parts or tuning,please? The turkish 1.6 is 1565cc, the other one is 1598cc, the second engine has got more hp. 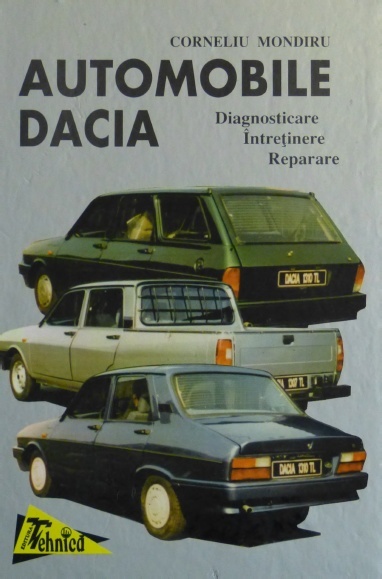 There are no infos about its bore and stroke but it could be a stoker version of C2J like 1.6s from old Dacias. That's a Ducellier distributor from a persian R5. I don't know nothing about the car where it's from. 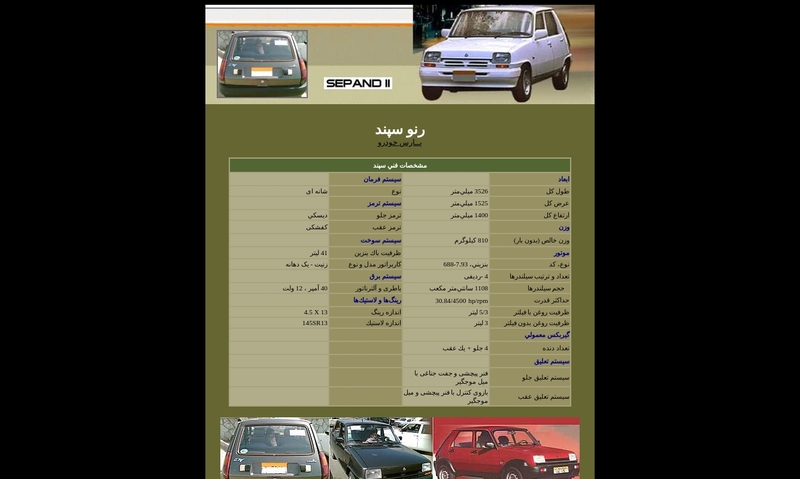 I have a confusion about Saipa,Sepand and all other brands and names. 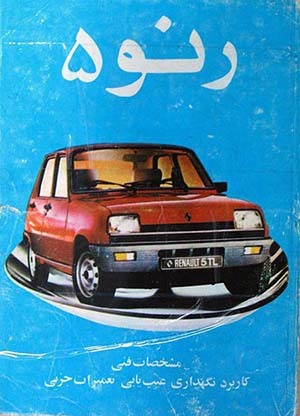 Maybe it's by Saipa but I can't understand why there is the Renault brand. Maybe they used to import parts to build tem, I saw other part made in France or abroad, on an old used gerabox I could read "Industria Argentina". 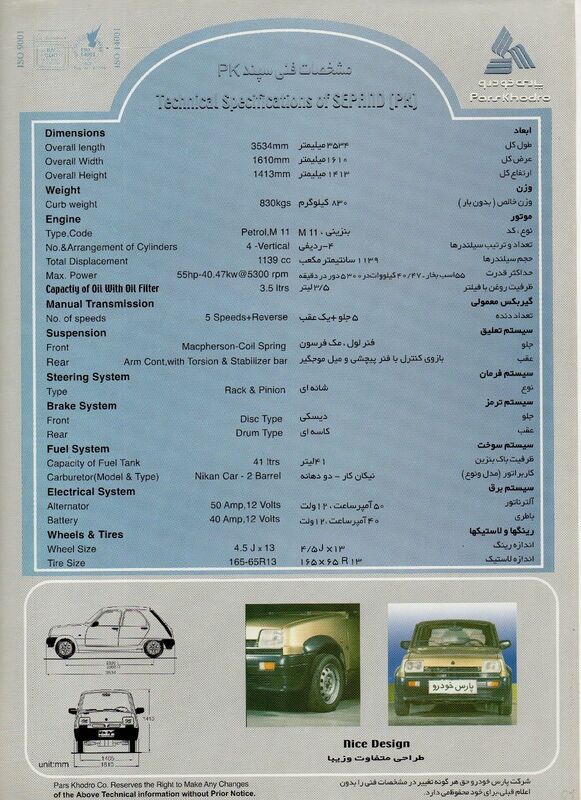 I try to find the story of the persian car but somewhere there are written different things. 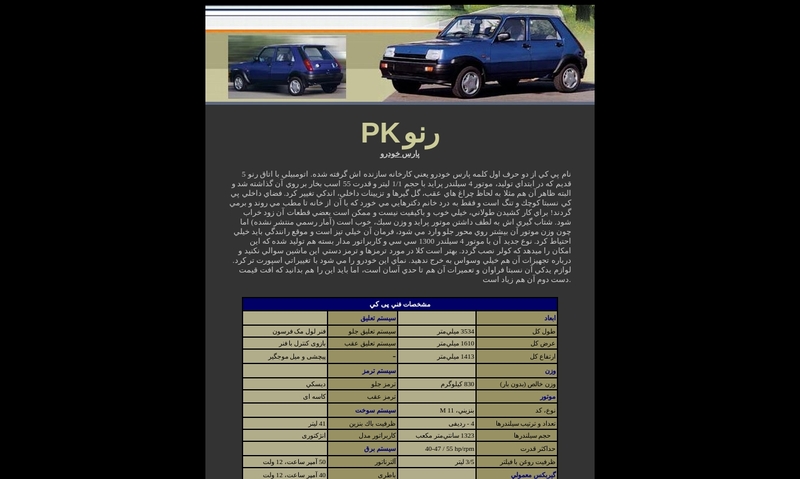 I found the brochure of Sepand PK, a R5 body on a kia Pride platform. 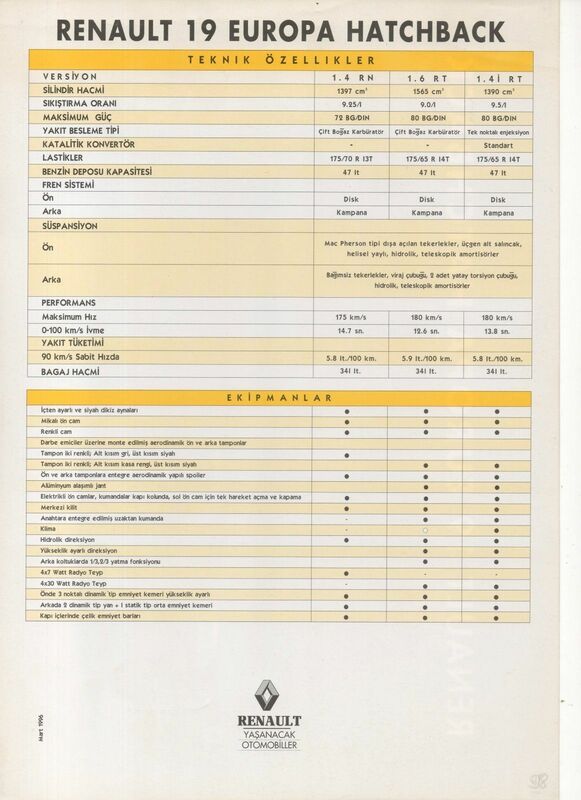 Generally You found around infos about an injected 1300 engine, somewhere is talked about a 1100 engine from Hyundai but I think it's a wrong info. I was fortunate to have found that whole bochure. Unfortunately I didn't find the same for Sepand and Sepand II. They were made before the PKs. 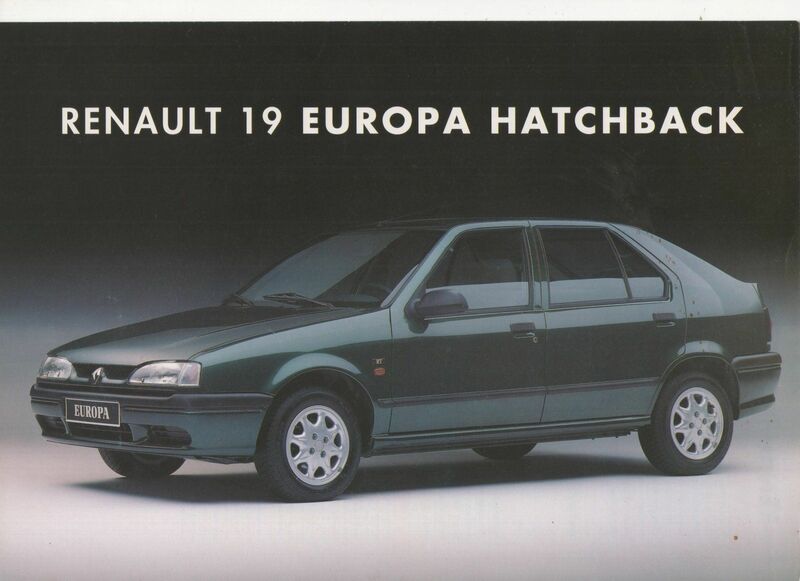 That's the same as the Saipa 5. The Sepand II is just a little bit different. 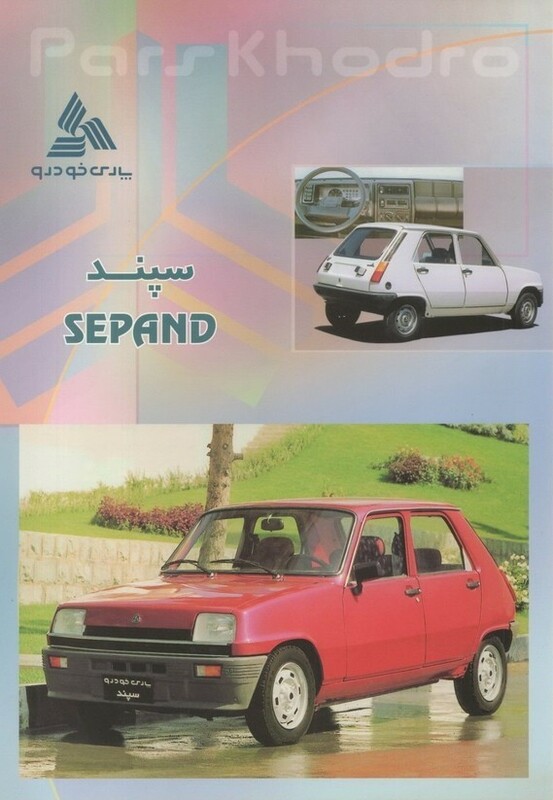 The quality of Sepand isn't the same as Saipa. I fount those too but I'mnot sure they are genuine because the car pictures. 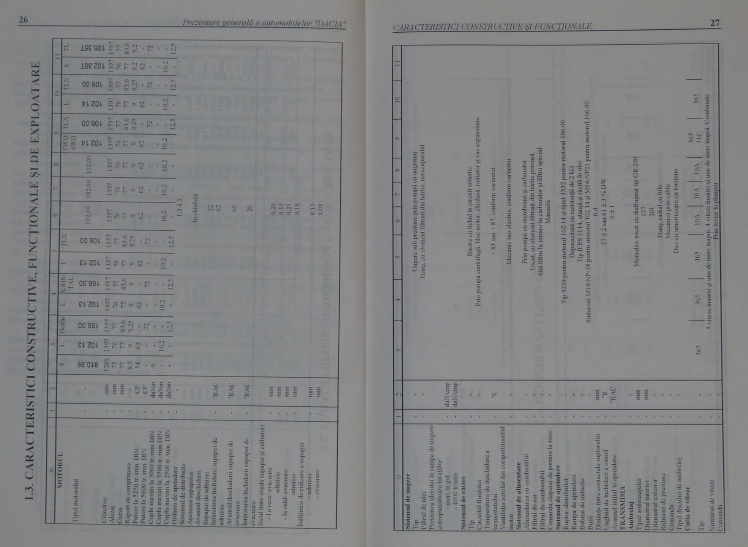 There are Sepand II engine code and its capacity. Are there 1108 engined only? 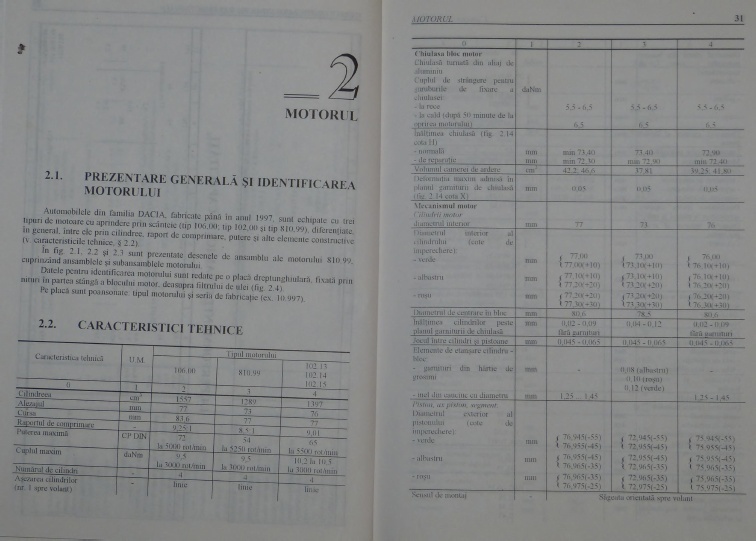 What were engines used by Saipa? The power of Sepand II engines is very low. Even if I don't know all persian engines specs I'm nearly sure that it's possible to find ignition curves in the long list i did. I often saw people adding a temperature gauge on that car. I like very much the one added by the factory on Sepands. Other ignition curves from a Renault Clio distributor. The timing advance at the idle is 10°,the engine code is C1E. 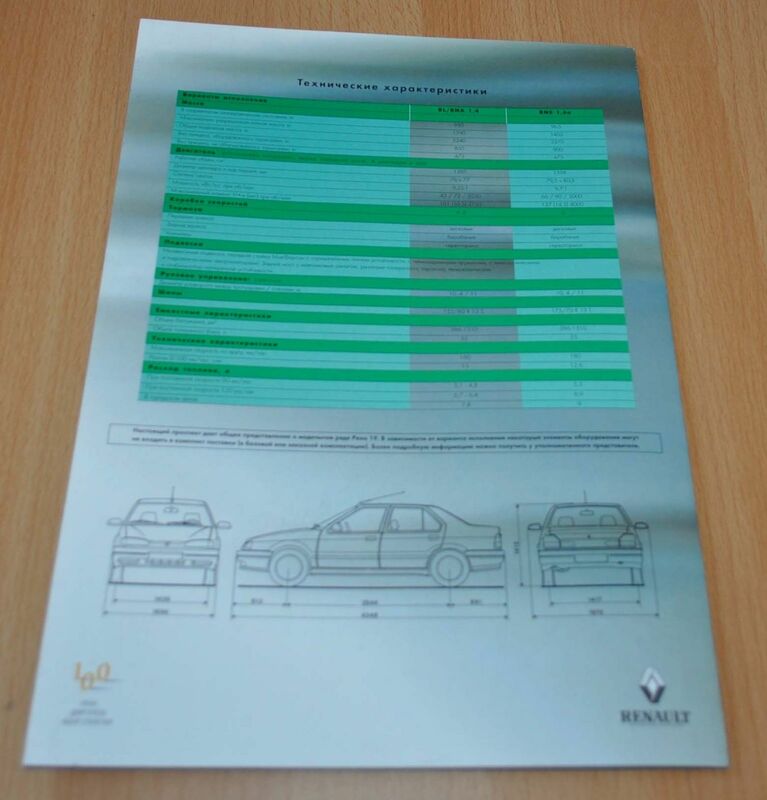 That's from R 11 manual. The same as the Super 5 workshop manual,no new ignition curves. 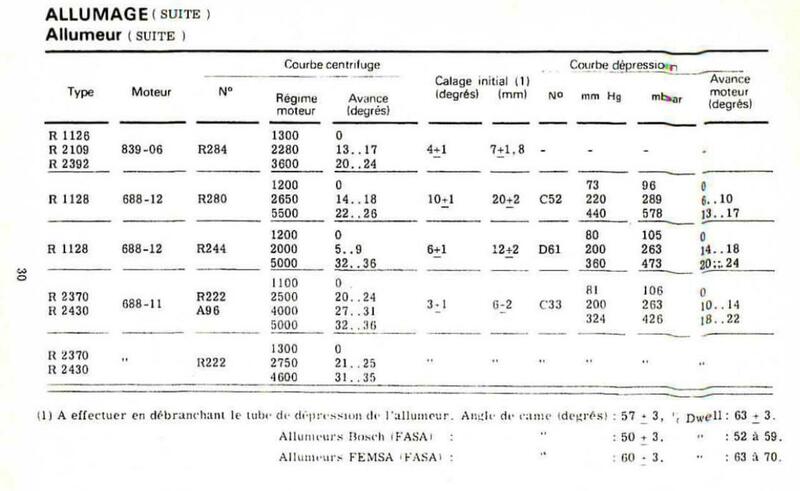 Other ignition curves from Renault 4 workshop manual,nothing new. The last one should be new,I couldn't find the R.280 on previous pages.